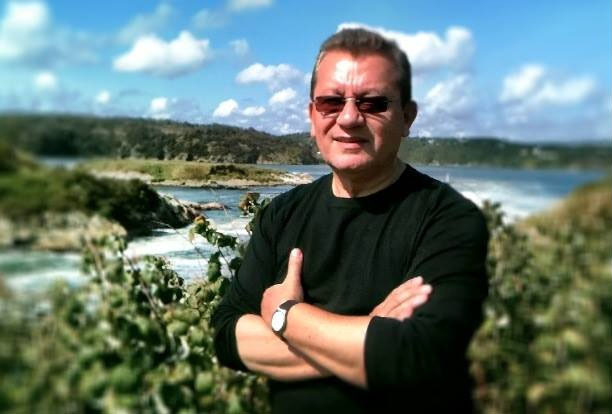 Ray has now established himself as one of the innovators of the International Jazz and Latin music scenes. A multi-talented trumpeter, percussionist, composer, and arranger, he presents Jazz from a refreshingly original and contemporary perspective. His two recordings on the Concord Picante label, his self-titled debut “Ray Vega”, and “Boperation”, along with his 1st release on the Palmetto label “Pa’lante” have been well received by critics, audiences and musicians alike. Vega’s 2nd Palmetto CD “Squeeze, Squeeze” has also received critical acclaim including Four Stars in Down Beat Magazine. Vega’s latest CD is “East-West Trumpet Summit” is a collaboration with Seattle trumpeter Thomas Marriott. The CD was released in the summer of 2010 on Origin Records and has hit number 1 on the Jazzweek national radio Jazz charts during the week of June 21, 2010. Vega grew up immersed in the heart of two vibrant New York City music scenes: Jazz and Salsa. In addition to learning about these two musical styles with some of the great legends, he received his formal training studying trumpet with Sydney Baker, Henry Nowak, Mike Lawrence, Stan Shafran, Laurie Frink, Richard Brezowski and Jerry Gonzalez. He studied Jazz harmony and improvisation with Susan Winder, Bobby Rogovin, and Lonnie Hillyer. Vega studied Afro-Caribbean percussion with Luis Bauzo. Vega attended The Long Island University-Brooklyn Center and is a graduate of the legendary High School of Music and Art. A much in-demand musician, he has performed with Mongo Santamaria with whom he recorded numerous CD’s, Mario Bauza’s Afro Cuban Jazz Orchestra, including their first-ever European tour, and Ray Barretto and the New World Spirit. Vega was privileged to record three projects with this landmark group including the Grammy nominated “Taboo” and “Contact”. 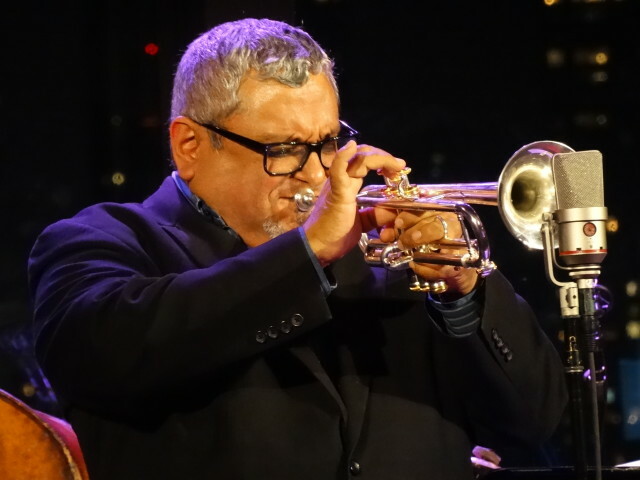 It was during his time with Barretto that Vega was called upon to join the Tito Puente Latin Jazz Orchestra as lead trumpeter. Vega recorded with Puente’s Orchestra many times over including the Grammy winning “Mambo Birdland”, “Dancemania ’99” and “Obra Maestra”. *Featured soloist on Gil Evans’ SKETCHES of SPAIN. Performed with The Elder Conservatorium of Music Orchestra under the direction Robert Hower. The University of Adelaide, Adelaide, Australia-August 2008. *Featured soloist on the Gil Evans/Miles Davis classic treatment of George Gershwin’s PORGY AND BESS. Performed with The Elder Conservatorium of Music Orchestra under the direction Robert Hower. The University of Adelaide, Adelaide, Australia-August 2009. *Featured soloist along with pianist Paul Orgel on Dmitri Shostakovich’s CONCERTO FOR PIANO,TRUMPET and STRINGS. The Burlington Chamber Orchestra under the direction of Dr. Michael Hopkins. Burlington, Vermont-September 2008. *First trumpet and soloist with Ozvaldo Golijov’s LA PASION SEGUN SAN MARCOS. Ray is currently a senior lecturer at the University of Vermont. Along with coaching 4 Jazz combos, Ray teaches trumpet and Jazz history. – University of the Arts-Philadelphia,Pa. In addition to his busy sideman and teaching schedule, Vega has also been developing his own bands. The Ray Vega Quartet (bebop and beyond), Ray Vega and The New York Latin Jazz All Stars (following in the footsteps of Mongo, Barretto and Fort Apache). Vega has performed at the American Museum of Natural History, the Museum of Modern Art (both in NYC), the Indianapolis Museum of Art (five years in a row), the San Jose Jazz Festival (1999, 2000, 2004, 2005), The Blue Note, Birdland, The Jazz Standard, Tula’s in Seattle, Jazz at The Bistro in St. Louis, Mo, The Blue Wisp in Cincinnati, Churchill Grounds in Atlanta, Jazz en Carolina-Puerto Rico, Artsplosure in Raleigh, NC, the Battery Park Salsa Series and the South Street Seaport/Heineken Latin Jazz Series, The Duncan Theatre in West Palm Beach Fla., the 2002 U.S. Open, the Berne International Jazz Festival and Marian’s Jazz Room in Switzerland, and the Puerto Rico Heineken Jazz Festival. Vega has brought his bands on two recent tours of Europe, and the Blue Note Cafe in Beirut, Lebanon. While in Lebanon, Vega participated in three concerts that were sponsored by The American Embassy in Beirut. A recent high point in Vega’s career has been his August ’08 trip to Australia where he performed and recorded the Australian premier of the classic Miles Davis/Gil Evans work,Sketches of Spain. In ’09 Vega returned to Adelaide to perform the famous “Porgy and Bess” arranged by Gil Evans for Miles Davis’ recording by the same name.